Before i get started with this review i would like to appolagise for my short brake, my internet has been broken all week and we just got it back. This review is going to be on the revlon lip butters. 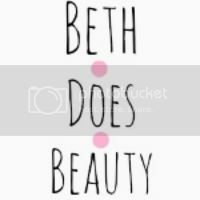 I know that there are lots of reviews out there for the revlon lip butters but I have decided i would like to tell you my thoughts. Revlon say: "Get soft lips and irresistible colour with Revlon ColorBurst™ Lip Butter"
I have been using these lip butters like crazy all week. There so smooth so they glide on the lips just like butter and they last a good amount of time. 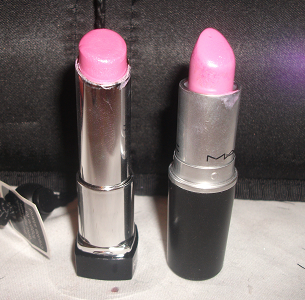 There very pigmented for being more of a lip barm. - Helps keep your lips soft. - Can get used up quickly. 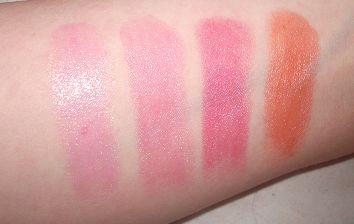 I love the revlon lip butters and there so worth the £7.99 each. I hope to get them all as there so pigmented and look amazing on the lips. My favourite one is tutti frutti. I have found one of them a dupe. I hope this review helped. 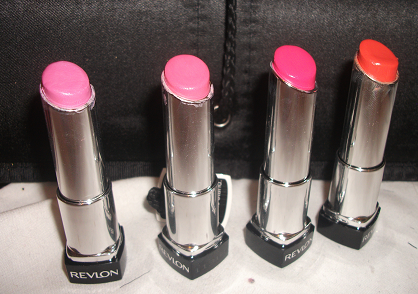 Let me know what you think of the revlon lipbutters. cute colours! They look really nice and moisturising. Very pretty shades, I have 3 of the ones here (all but Cupcake). I'm really loving these Lip Butters lately. It is a pity that there's not that much product though! I really love the sound of them, even their pigmentation. Great review! Tutti Frutti looks incredible on you!